Earlier this week, Conservative Party chairman Grant Shapps said unemployed parents should only receive benefit for their first two children, meaning entitlement to child benefit and/or income support and other financial aid could potentially be removed for any children above that number. Shapps claimed that the plan would place the unemployed on an “equal” footing with working parents. Unemployed parents who decide to have more than two children should “know that welfare is not going to fund that choice,” he said. He suggested further restricting entitlement to housing benefit by barring all unemployed under-25-year-olds from access to the rent subsidy. Again, Shapps claimed that welfare benefit provided an “incentive” for unemployment. The proposal would affect some 380,000 jobless under-25-year-olds, forcing them to live with parents/friends or face homelessness. Shapps’s comments came as the government’s cap on the amount of welfare benefits claimed by any household was rolled out across the country. 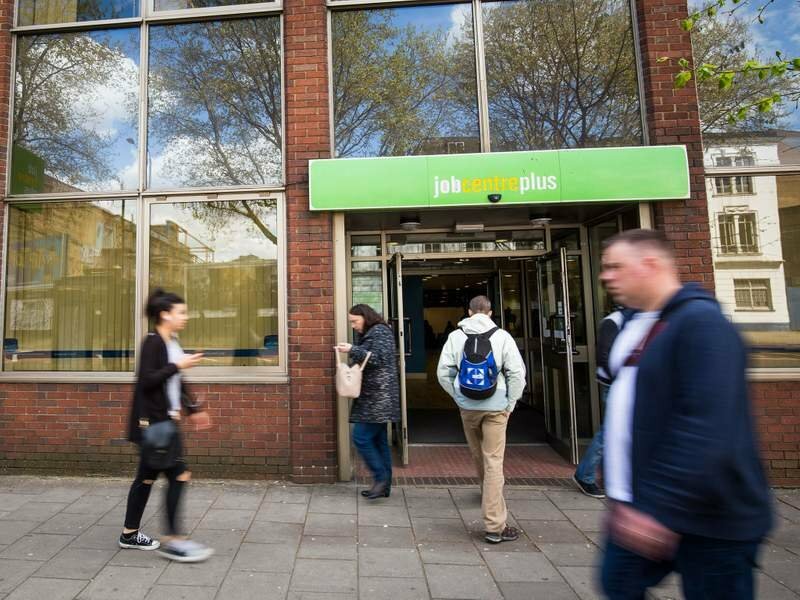 The scheme, first piloted in four London boroughs—Haringey, Enfield, Croydon and Bromley—means that no jobless household can receive more than £26,000 a year in benefit and other entitlements. It is part of a further £11.5 billion of cuts unveiled by the government in June. This comes on top of the £155 billion austerity measures already passed by the Conservative/Liberal Democrat coalition since its election in 2010. The government’s Spending Round in June for the first time covered a single financial year—2015/2016. It therefore tied any future government (the general election is due in 2015) to the reduction. Shapps’s statements were once again justified on the grounds that cutting welfare is motivated by “fairness” to taxpayers, as it ensures that no jobless household will receive more than the national average wage, regardless of its family size or circumstances. The pilot cap has already caused great hardship. Haringey Council reported that 740 families lost income during the trial, with just 34 people finding employment. The government’s own figures calculated that up to 56,000 families will be hit, losing an average of £93 a week, while in London, some 7,000 households will lose more than £100. London and the south are especially affected by the cap due to high housing and living costs. Families are being forced out of the capital and into accommodation in northern England where rents are cheaper. Amid reports that Work and Pensions secretary Iain Duncan Smith has requested additional time to legislate for further changes to welfare for next year’s parliamentary session, the government is said to be intending to reduce the benefit cap still further. Conservative MPs are reportedly demanding it should be cut to £20,000. In addition, the Forty Group of Conservative MPs—so-called because they represent constituencies with the slimmest majorities—is demanding benefits be withdrawn from teenage mothers and a host of other measures. Teenage single mothers should no longer be automatically entitled to help with their housing costs, or be considered a priority for social housing, they argue. They propose deducting fines for school truancy from the child benefit paid to mothers, while restricting access to “repeat” abortions. The Tories’ moves are clearly punitive. They are aimed at stigmatising and punishing the unemployed, while legitimising a broader offensive against social rights—from welfare to education and health care. The measures have the wholehearted support of the media, which routinely demonises the unemployed and promotes propaganda blaming welfare costs for the squeeze on spending, enabling the Conservatives to claim that their plans are in response to “public” pressure. Not a word is said about the criminal activities of the major banks and financial institutions, which are responsible for the biggest economic crisis in 70 years. Billions have been and continue to be paid out to the banks and super-rich, while the majority of the population are put on rations. Unemployment is nearly 3 million, including more than 1 million out of work and not claiming benefits. Employment is scarce, with much of that available temporary and low-paid. That is why the majority of those on benefits are the “working poor”, those whose pay is so low they need additional state subsidies to survive. Even this bare minimum—which acts as a subsidy to employers—is now being scrapped as the ruling elite seek to overturn all the social gains made by the working class. A central role is played by the Labour Party, which is committed to maintaining the coalition’s benefit cuts and introducing more of its own. It has jettisoned its verbal opposition to the benefit cap, arguing that it should be determined three years in advance and have a regional component. Meanwhile, the Trussell Trust reported that the numbers of people being referred for food parcels increased in the three months since the government’s welfare measures began by 200 percent. The voluntary food aid network reported that more than half of the 150,000 people referred for emergency food aid between April and June were affected by benefit cuts and delays, and financial problems caused by changes to housing. “The reality is that there is a clear link between benefit delays or changes and people turning to food banks, and that the situation has got worse in the last three months,” said Executive Chairman Chris Mould. DSD FUNDS £40k REPORT ON LOYALIST PARADING ‘BENEFITS’ ! ‘ It is the very first time that we have got firm independent information on on the contrinformationt the loyal orders and the bands make to society in the North of Ireland – Nelson McCausland. SOCIAL development minister Nelson McCausland. 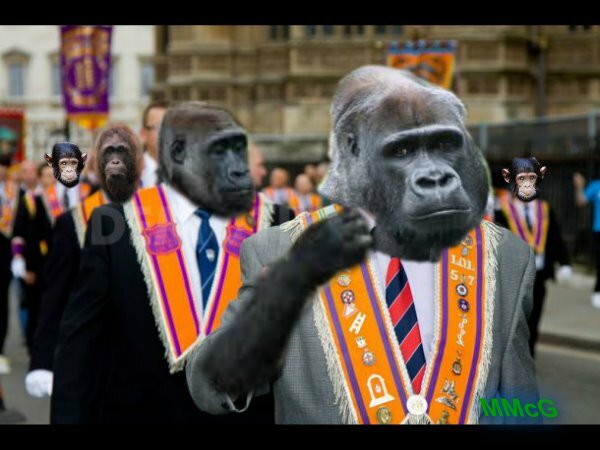 aas defended a £40,000 report funded by his department into the economic benefits of loyal order and band parades. Compiled by accountants RSM McClure Waters, the report claimed that the loyal orders and bands generate almost £55 million in economic and social benefits for the North each year. However, the ‘report on the Socio-econmic impact of the traditional Protestant parading sector in Northern Ireland‘, published yesterday, did not include the cost of policing these parades, which last year ran into millions of pounds. Speaking to The Irish News, Mr McCausland, a member of the Orange Order, defended the independence of the research. “The report was produced by an independent consultancy firm – a very well and highly regarded firm,” he said. “There was input from the Institute of Irish studies at Queen’s. niversity. “That shows the validity and the strength of the information. “This is solid, credible information and I sincerely hope that in the media it will receive the same levels of coverage that some newspapers might give to other events.” The £55m figure includes an estimated £39m contribution per annum through the provision of facilities – around 750 Orange Halls – the undertaking of community and volunteer work and fundraising. With many thanks to : Connia Young, Irish News. Author seachranaidhe1Posted on May 23, 2013 Categories REROUTE THE FLUTETags £55 million, Department for Social Development, Drew Nelson, Fraternal, Gaelic Athletic Association, Irish News, Nelson McCausland, Northern Ireland, Orange Order, Organizations, Parade., Patsy McGlone, Protestantism, Queens University, Social Democratic and Labour Party, WelfareLeave a comment on DSD FUNDS £40k REPORT ON LOYALIST PARADING ‘BENEFITS’ ! 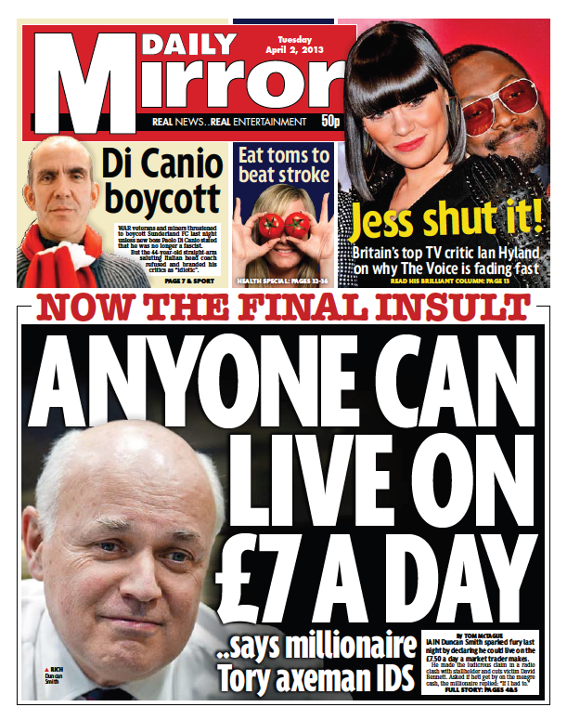 ” If I had to I would ” – Iain Duncan Smith. 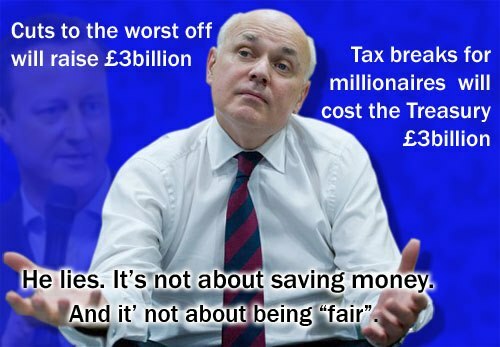 Iain Duncan Smith’s minister’s salary is equivalent to about £1,600 a week after tax. IAIN Duncan Smith yesterday dismissed claims that he was ” slashing ” welfare – and insisted that he could live on £53 a week. The UK’s work and pensions secretary said he was making the system fairer and giving people a chance to ” break free ” of benifits. Ministers launched a fightback as 660,000 social housing tenents deemed to have a spare room begain to lose an average £14 a week in what critics have dubbed a ” bedroom tax “. It is part of a package of significant welfare and tax changes coming into force this month, which opponents say will hit poor familes and disabled people particularly hard. Changes to council tax benifits will see bills rise for an estimated 2.4 millon households in Britain rise an average £138 a year, with two million paying for the first time, an anti poverty group said. The system was yesterday hand-ed to town halls to operate but with 10 per cent less founding. On Saturday working-age benifits and tax-credits will be cut in real terms with the first of three years of maximum one per cent raises – well below the present rate of inflation. Two days later disabilty living allowence begains to be replaced by the personal independance payment which charites say will remove support from many people in real need. Later in the month trails begain in four London boroughs of a £500-a-week cap on any household’s benifits, and a new universal credit system. Piolt schemes for the flagship scheme have been scaled back amid reports -denied by welfare officials – that IT problems have derailed preparations for its rollout from October. Labour claims the impact of the measures and other coalition polices have left the average family almost £900 a year worse off. Market trader David Bennett told BBC Radio 4’s Today programe yesterday morning that he earned around £2,700 last year from working between 50 and 70 hours a week. He said his housing benifit had been cut even though his children stayed with him several days a week and his overall income was about £53 a week. It was not clear why Mr Bennett was not receiving tax credits. Mr Duncan Smith, whose ministerial salary is equivalent to about £1,600 a week after tax, stressed that he did not know Mr Bennett’s individual circumstances. However, asked whether he could live on £53 a week, the former army officer, who married into a wealthy family, replied : ” If I had I would.” During the course of the day more than 21,000 people signed a petition on the change.org website calling for Mr Duncan Smith to “prove ” he could survive on £53 a week. The text urged him to ” live on his budget for at least one year “. He said the government was only trying to get welfare ” back in order “. ” We inherited a problem where we simply do not have the money to spend on all the things people would like us to do. ” What I am trying to do is get this so we don’t spend money on things that are unfair.” He urged critics to get the issue ” in perspective “. With many thanks to : James Tapsfield, Irish News.